ProPublica has released a haunting report detailing the rampant abuse and lack of oversight at government-contracted immigrant youth centers, a situation that one child psychiatrist has called a “gold mine” for predators. 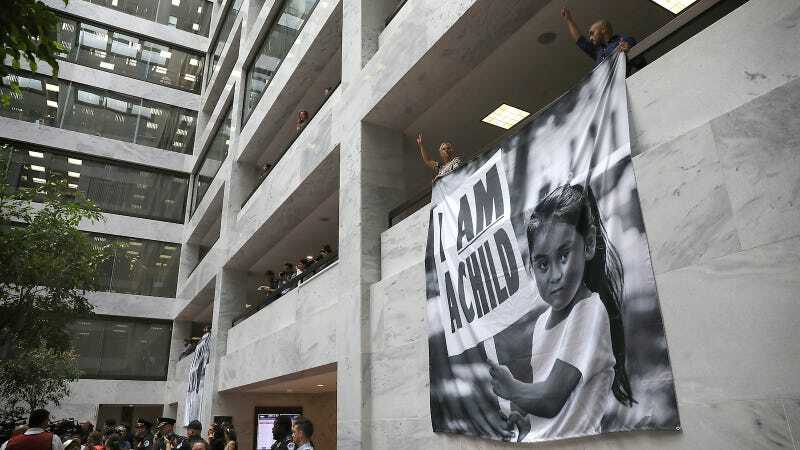 While many of the incidences date back to the Obama administration, immigrant advocates say that new policy pressure from the Trump administration could further burden centers and create more confusion about how to handle reports and investigations. The Trump administration forcibly separated more than 2,000 children from their parents and has failed to reunite hundreds of them by the court-ordered deadline. As the administration carries through its “zero-tolerance” policy of prosecuting adult undocumented immigrants crossing the border, more families will be detained indefinitely in facilities meant for temporary stays. Department of Homeland Security Secretary Kirstjen Nielsen has insisted that the children in these facilities are in good care, but this report suggests otherwise.